Do you work for Skype Business? What is Skype for Business (formerly Lync)? Learning about Skype for Business (formerly Lync)? We can help. It is not necessary to register as other contacts / contacts of the company, all are already displayed in the contact list as the creation of the Office 365 email accounts. - Have maintained the same user experience for both products - Skype and Skype for Business, providing a learning curve almost zero for those who already use Skype. - The WEB version works as well as the one installed. The non-sharing of files or images with contacts outside the institution, even knowing that this will be a point of security of the company's information, but it causes employees to use personal Skype to send the files. - The WEB version, as far as I tried I could not use video and voice. Present new features such as meeting and sharing screens and files. We had constant problems with our communicator, problems managing user accounts, external access and performance. With the acquisition of the Office 365 package, Skype for Business has come as an additional attraction, by adopting this tool as an official means of communication, we immediately end the process of user creation and password management, as well as the integration of the even with the other Office products, the meeting tool is fantastic and the blocking of sending files is of paramount importance to the external environment. 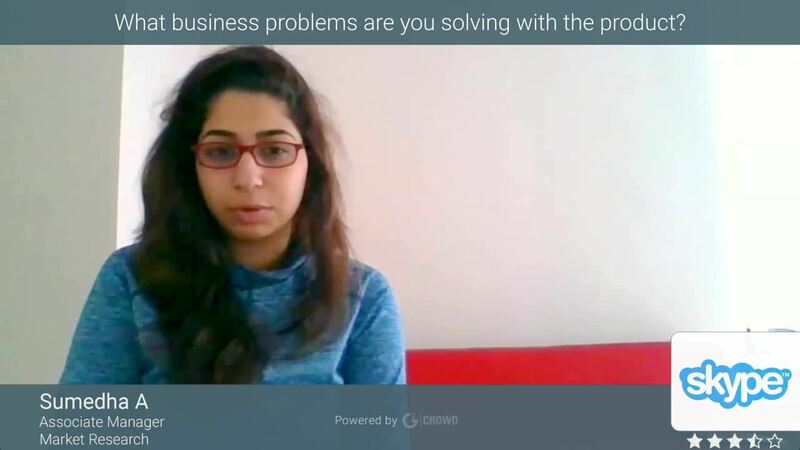 "Skype for Business is a excelent software to have a conversation with great quality!" Skype for Business is one of best programs that exist in the market when talk about comunication. When we compare with other programs that exist, Skype for business has the advantage to be easy to use inside the company, one example is the Microsoft Team, is a great software too but it is a little bit difficult to use. The comunication in the software is efficiently and simple when we would like to send messages for other employees. One thing that I don´t like in the Skype for Business is the interface, something is a little difficult to find the information and another thing that really don´t like is the tools - Microsoft Teams has much more tools and ways to comunicate than Skype. I recommend the software for people that would like to have a nice discussion with other people inside the company, to take a meeting, calls, web conferences, and also share important files (informations). The program can solve a lot of problem inside the organization when we talk about comunication problems. And a benefit is that you can share images and screen shots very fast with a simple button. "we really like this product"
being able to communication 1-1 on instant messager has made a massive different for us, instead of typing out an email we can simply just load up skype for business and see if the person i need to talk to is online and start typing to them as easy as that. being able to instantly chat with someone instead of having to go and locate them and with staff memebers or are constantly on the move in the build it has saved our legs not having to walk after them, this has changed the way we work as a company. "An excellent solution to carry out your video conferences"
"Features are nice and easy to use"
Skype is nice tool we got in in place of Lync. I'm literally in love with this application it has a very clean and easy-to-use interface in which it allows me to find my colleagues easily all over the organization, Chat is very good and it has excellent animated emoticons, calls quality is excellent, it supports both like the video calls and audio calls. It's amazing and you don't need the use of a phone to speak, which is great and very useful for meetings. I not connected to office network but it's something that works 100% with internet connected in home. The only disadvantage is that earlier we use to send files from Lync but in Skype version it is not allowing us to send files . Do not disturbed mode is automatically enabled on desktop share which is annoying some times although there is a feature to set is as normal but many times peoples forget to do so. Sometimes I usually have performance problems when I use it it through mobile app. It is easy to use any easy to install. Interface is just awesome. Actually all my colleagues use to communicate through this app most communication is done with this app. Its very hard to manage this without Skype. I liked with its good functions that benefits to have a clearer and more interactive communication such as audio and video calls and desktop sharing. In the beginning, I did have issues with connectivity. It would often log me out and I call clarity on conference calls would sometimes have an echo. Those issues have since been resolved. I have an issue with the mobile app, it does not always stay connected. It will sometimes only send messages to my mobile app and not my computer or vice-versa. It will also say I am logged out when I am mobile and that is not the case. "Messaging with the colleagues made easier"
Screen sharing is the best part of this application, like anyone can share the screen to even more then one people and can have side to side chat with presentation. no need to mail for the small things, just start the conversation with no formalities. Best part it will tell about the availability of the person over skype so that one can see and rectify what he has to do. Connectivity issues sometimes, we cannot send the texts to others or sometimes they won't receive the messages, for that we have to call them or exchange the information over call or mail. great for the people for exchange of information with collleagues, and even have group convos over the skype and share the informaton. Emoji support is the best part everyone would love to use. Manager shares the screen to tell about the progress of the sprint, and even the freshers can share their screens to the seniors to the error resolved, without really going to them. Messaging with colleagues was never easy as this application made. Skype Business is very inviting. It is very easy to use on different devices depending on the need. The usefulness for jobs that need to optimize the maximum time your employees spend on communications and in more distant places. Great for organizing groups and resources that each industry needs. The product administrator has full control of each account and limiting each user becomes an invasive measure taking away the privacy of each. It also has a problem in sharing some types of files generating error. The product makes corporate interactivity more organized, effective and optimized. Any dialogue can be clarified at the time. Just like the conferences for that facility. The program facilitates the sending of files with more utilities in office use, as well as PDF files. And various formats of audios and videos, but pay attention to some that can not be sent . The use of the product for the corporate environment that are handled all functions, the service has a good price, but for anyone who just wants to make possible calls to landlines or cell phones is not so interesting. The multi-employee conferencing function is a wonderful time-optimizing experience for the company's effectiveness. "Old but still the best software of communication "
What i like best in Skype for Business, is that is simple, like always has been. It allows you to integrate and communicate with other areas easily. Video conferences are also some positive side of Skype. Also, if you are a user of the office 365, you integrate skype with the other programs. The support team is very "low budget", but i wouldn't say that i've ever needed. It's so simple that it can't create much trouble for the user. Perhaps new updates in order to create new tools. Big and small companies must have Skype. I believe most of them already use. Simple, understandable and essential in the business of communication and presentation, without having to leave your desk. It has positively impacted my work in the integration and communication area. Also, the integration with calendar and tasks, are making my professional life easier, and more enjoyable. "Best Bussiness Communicator for IT Industries"
As i am a very good user from long back when it switched from Lync to Skype for Business which is very user friendly for beginners and having different functionalities i.e. all about skype meetings with stakeholders like Video call, Audio call, Screen sharing, chatting, remote control etc., where i don't get these many options in other business communicator. The most amazing option is sharing screen to multiple users which is very useful for Skype calls. Hence i strongly recommend my friends or colleagues to use Skype for Business. When we are taking remote control of other system, we cannot send attachments through our system. We cannot do recordings of meeting content. Sometimes voice will be 'One Way' in skype calls. We cannot send message while meeting is going on unless until we click twice on Chat icon. Only the sad thing is that will disconnect suddenly and shows presence unknown without any reasons even though the internet connection is good. I strongly recommend my friend and collegues to use as it is very useful and user friendly for all kind of users. The most amazing thing is, we can take control of other system which helps me in resolving the issues remotely with out going to their location to resolve the same which reduces me the transport cost, time save etc., We can save the communication for future reference. "Baseline for communicating at work"
I've been using Skype forever and when I entered the workforce I happened to see Microsoft had bought Skype and integrated it into their office suite. It's was and still is easy to use and smooth when video conferencing. I mentioned things being smooth when video conferencing but there are sometimes when people on the other end who aren't as familiar with Skype have audio issues. they either had a headset plugged in or have their mic muted or some other weird self-inflicted bug. Usually, an easy fix if you can talk them through it. This is the benchmark for all other company messaging applications. If you are considering something else then benchmark it against Skype. The problems are always with audio. Someone usually doesn't have their audio configured properly when you prep for a meeting. But the benefits outweigh this issue. Being able to seamlessly communicate and send files over skype and present your screen all through Skype is wonderful. "The best software for calls and messages!" Skype for Business is a software that is used with a certain frequency in big corporations, because of the simplicity and speed to communicate with any other user in a matter of seconds. The audio calls are great, the texting and, for me, the best feature is the screen share, so you can show your work being far away, from your computer. It also has a tool of recording screen that can be transformed into a video file. I think the thing that needs most focus is the support team. Had a few problems and they didn't provided within time. Aside the support team problems (slow), the software does what it promises. You can solve the distance problem by texting and calling, even sharing your screen. Needs a few updates regarding the interface, but so far, it has been a good experience. The communication is easier using Skype instead of the common phone or cellphone. You can text or even make a call. That solves the matter of the distance. "Best Application for a real time business communication." "Connect with your partners using Skype for Business... "
In my day to day I resort to this wonderful tool with which I maintain communication with part of the company, I make recordings when we have a meeting, I can send messages instantly and I can integrate the scheduling of outlook meetings and other programs such as OneNote, Excel or Word. My favorite part is when I draw up drafts on the board. If you are looking to improve productivity in your work, you found the right software. I recommend that they give it the proper use and that they inform themselves well to take advantage of it. I enjoy buying a link and colleagues join a conference and exchange ideas. And like almost all Microsoft business skype products it is integrated in an excellent way. Easy to use and obtain. Because it is so easy to use, I have taken advantage of it, sent messages, made videoconferences, integrated all the work team and promoted the use of new technologies, the fact of being able to connect from any device makes it easier. "POWERFUL TOOL IN COMMUNICATION IN COMPANIES"
Skype para empresas es una herramienta poderosa que las empresas necesitan. Esta aplicación puede ofrecer una comunicación fácil con gente de negocios. You can create a conversation with other people, throught chat, call or video call. and share with all people connected with you. you can insert hyperlynk and much more. send emojis too. Sometimes is very slow, and chat conversation is not sincronized when you use the web app versus desktop application. If you offline, you cannot to send messages, and sometimes is very important to send it. when you make a video conference the voice and video are very slowly and cannot to heard what say the people, effect voice robot. "A powerful service with some interesting disadvantages"
I love how connected you can be with skype for business to everyone in your company. With integration with Microsoft Outlook email and calendar, you can tell when colleagues are unavailable, you can IM them, call or even share your screen all with the hit of a few buttons. When you need a quick opinion on how something looks (I do creative work) the ability to quickly share your screen with someone who doesn't work in office is a very powerful thing. Also it makes communication with all internal people amazing. It enhances group chats in the organization which is useful for communicating with many people at the same time,this feature has also helped us train interns who are away from the organization. It has made screen sharing easy and fast. It also provides high quality video and voice call making communication efficient with colleagues. It is free to download and easy to use making it available most people. I have less to dislike about Skype for business only that it requires strong internet connection between users which is a disadvantage for my clients who are in areas with poor internet connection. It is the best communication platform especially for video conferencing and I highly recommend it to you. It has made file sharing easy between colleagues. Communication has been enhanced especially that it provides high quality video and voice call. Video conferencing has been made easy and fast. Skype for Business makes it very easy for my team, and firm to communicate with one another. My job involves a lot of travelling to client sites, but Skype for Business makes it easy for my colleagues and I stay connected. My most favorite thing is the ability to share screens. It makes it so easy for us to be able to discuss work through screen sharing. Honestly don't think there is much wrong with this application. Though, sometimes the connectivity drops even if my Internet is just fine. Apart from this frustration, I haven't experienced any negative side effects. Highly reccomend for big corporations! Very esy to use and adapt. The benefits we have realized from this application is the ease in being able to communicate with any one. This application allows me to search for any person employed with my company regardless of what country it is, and then allows me to message/call them with a touch of a button. "My Overall Review for Skype for Business"
We can undoubtedly dial into gathering gatherings setup since we have workplaces all through this city and through numerous different states. and also one of the reasons why I like this software is because it's actually simple and grants unbelievable particular method for our working environments. many people as of now use it, so its simple to associate with others. It is direct and allows you to include individuals outside of your circle so you can work together with outside affiliation. And I like Skype software because it's a reliable tool and user friendly. I wish that skype for business moreover did exclude my distinctive contacts from my other email or from my phone and also one of the things I dislike is the impediments on the document sizes and what you can send through messages which other tool can do. I also hope that skype business will take action on adding new features to impress it's users and get separated from other average softwares. I recommend Skype for doing conference calls or business meetings because it's a totally reliable software or tool to use. Skype Business helps us to communicate better with my colleague and talk issues in detail since an email would require forward and backward discussions. You can likewise utilize it to setup calls and video conferencing which can help in the event that you like being 'up close and personal' when meeting with others. Skype for Business is being used widely within my organization, and also other verticals, which are working with us. Skype for Business works brilliantly as we have conference calls on it and all of the invites work without any issues. The screen sharing on the call is a very helpful feature.This tool works very well in small organizations for having discussions and calls within teams. Very rarely, I have found the tool to not work well for its designated purpose. I like the process of adding a person directly to the call from an outlook invite. Recommended to all small and large scale businesses coummincation purpose. Ease of use -- if you can send a text message or email in Outlook, you can manage Skype for Business. Relatively uncomplicated. Interconnectivity with Outlook (allows user to send Skype meeting request in an email -- embedded). "Skype for Business is a best communication software"
This software is very good so far that I can experience. 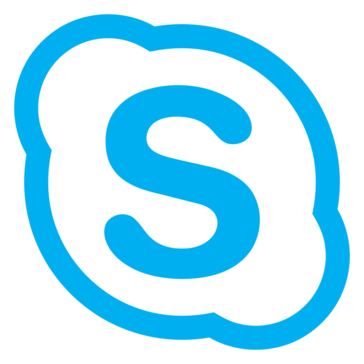 I can use both Skype softphone and chat as well as attend Skype meetings. The call quality is excellent even on the cell phone network. Overall experience with current functionality is decent. Some aspects are desired to promote participant to presentor and while sending invite from outlook app one should be allowed to set permissions, just like desktop version. It would be great if it didn't require permission to basically do and access everything. Secondly, when someone messages me, there is a good chance it will only go to one destination, either my PC or mobile version, but not both. This would be a great way to miss important messages. I still recommend skype, but truthfully 99% of the users only need the personal version. I like the ease of making groups of people I connect with for easy access. Skype for Business is a great way to quickly 'talk' with someone else without physically having to interrupt. The other person can get back to you when they can. And because it is easy, it is usually very quick. My favorite feature is being able to screen share. This is an excellent way to provide one-on-one remote training and/or troubleshooting for an end user or as the end user of some other product. "Collaborative meetings and trainings with Skype for Business"
When our team is attempting to solve a problem and needs input from other members, Skype for Business is the method we use to communicate. When a new member joins our team, trainings are easily delivered via video chat along with the screen-sharing capabilities. Skype for Business is a very polished resource that does not have many drawbacks. The only item that users might need to change is the default "Launch Skype on startup" setting which opens the application every time a user logs into the computer. Using all of the tools available to the administrator during a Skype for Business meeting will make the conference more interactive and effective. Whereas technical computer training might normally require a substantial time sacrifice on the part of the administrator and the trainee, Skype's video and screen-share feature allow each user to save time and resources by collaborating through this application virtually and from anywhere. "For the Beginner and the Advanced User"
I love that you can use this as a beginning user and as an advanced user. There are many levels to learn about Skype for Business. Much of the functionality has become user friendly and graphic based - click and play. It is easy to train new hires on the use this this product and that makes me happy from a training perspective. Some of the call quality can be touch and go. If you do not have the strongest internet connection, prepare for disconnections and spottiness all around. The status indicators could be improved or the depth/scale of them customized or broadened as they can really hinder interaction in some cases with the "busy" indicator for example. Try out different headsets, sometimes that can make a difference in call quality. Daily connectivity with colleagues, instant messages, virtual meetings via call or video. Recording video meetings. I love that there are more features that I have still not yet explored. "Good for business communications and meetings"
1.Works well for chats, video conferencing, screen sharing, team meetings and screen control. 2.Can connect from anywhere and cell phone is not required which is the best part. 3.Screen sharing makes it easy to detect the matter about the discussion and keeps the team members involved. 1. Chats are not saved for personal communication after the window is closed. 1.1 Due to this communications discussions shared with another persons cannot be retrieved once chat window is closed or machine gets restarted. 1.2 Also after machine gets disconnected form Wifi or LAN, chats are lost as window resets to blank discussion. 2.1 Due to this contents in shared discussions, call gets hanged and all people are compeeled to leave the meeting and rejoin the meeting to continue with the discussions. Can connect through multiple locations and various time zones. Does not require phone. 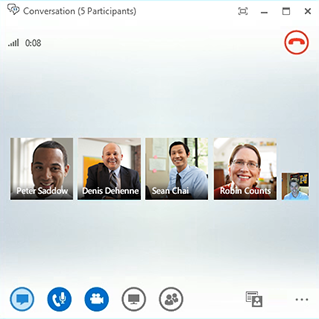 ""Skype for Business is the very good IM and collaborative Software tool""
I Like the Skype for Business because it is very user friendly application to use for Client calls, Screen sharing, Instant messaging Meeting view etc..
Skype for Business migration could mean investing in new hardware in order to take advantage of all the applications available, such as IP telephone handsets and new laptops and tablet devices with built-in webcams, speakers and microphones. The data used across local area, wide area and mobile networks is increasing rapidly, as bandwidth-hungry applications and content such as high definition video become more prevalent. Skype for Business implementations must consider the impact that features like videoconferencing may have on the network’s performance and the ability to provide mission critical services alongside this. Skype for Business involves a cultural change in the way users communicate and collaborate. You will be asking staff to change the way they work, so you must give them clear reasoning why they should. It also brings a range of new features and functionality that users are unfamiliar with. It comes down to the old adage ‘what’s in it for me?’ Freedom’s approach to a Skype for Business project ensures every user, no matter what their role, understands the benefits as much as you do. I recommend Skype for Business since it is more user friendly software when compare to other tools. It useful in as we are using to for the internal communication of our organisation. And also it is helping to have client meetings,Screen sharing etc. "Excellent, well-integrated product for all-in Microsoft shops"
Skype for Business (or whatever they are calling it this week) is well done overall. By itself, it isn't the best UC tool on the market, but, like so many of Microsoft's products, is good enough. The real benefit is the way it integrates with other tools. We have no company phones. Only S4B. It actually works quite well, becuase all of it works together. Skype for Business can sometimes be unreliable, particularly for those outside the organization. Skype is definitely a "good enough" product. It satisfies what you want from UC. The cloud-based platform is quite robust and performs very well. I have found the cloud-based version to be superior to server-based versions that I've used at other organizations. We use S4B to essentially replace our phone system, while also providing integrated chat and video conferencing. I'm not sure why everyone is so keen on the video portion, because actually users rarely use it. "Great chat tool for a large organization that can sync up with conference calls setup via outlook"
This tool is really easy and allows great communication method for our offices. This holds especially satisfactory since we have offices throughout this city and through many other states. 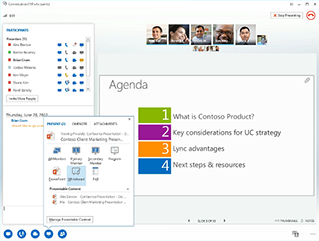 We can easily dial into conference meetings setup via Outlook on it and share documents/files. There is not much to dislike. I am aware that come 2020 Microsoft will decommission this tool to convert all chat/calls to Microsoft Teams. So I would discourage moving your team to use this tool since it will be obsolete in a year or so. Do not convert to using this product, it's going away in 2020 per Microsoft. They are moving this entirely to the Microsoft Team tool. So I HIGHLY encourage you just move to Microsoft Team if you need new platform and want to use Microsoft. We've been using Skype (formerly Lync) for so long I'm unaware what we used for chat solutions before. I like the ease in communicating with fellow co-workers and the ability to group chat. I also like that you can choose to have notifications flash on the screen as a banner or simply flash at the bottom so as not to disrupt when you are speaking with a customer. The most recent update shows all people "offline" unless you are "friends" with them. While that is an easy issue to resolve within my immediate office, I work for a larger company and it is impossible to be "friends" with everyone on campus. This creates an uncertainty as to whether or not the person is actually able to read your message or is even available or at work. This essentially removes the need to have Skype, since instead I pick up the phone to call the co-worker. It creates more hassle than ease and I am not able to work as efficiently. System lags with most recent updates. Allow people to show available, unavailable, etc without having to be "friends" with them. We are able to solve students needs more efficiently when we can message various people, or group chat with multiple departments on campus all at one time. This eliminates the need to make multiple phone calls or conference calls and helps complete tasks more efficiently. What I like best about about Skype for business is that it is a great tool to use at work because you can talk to people in different departments on campus in a fast manner. It is also nice to talk to other coworkers about certain matters because our work set up is an open suite concept and its nice to just message someone if other people are talking in the office. I also like the ease of use, it is very simple to use this product. I do not like that i can't see if a person is online if they do not add me as a contact. That seems like a new feature and I do not like it very much.I also wish that skype for business also did not add my other contacts from my other email or from my phone. I also don't like that sometimes skype sends my conversations to another work email that is attached with my coworkers. I would recommend this product because of its ease of use and the fact that multiple people in an organization can use it no matter where they are located. I like that I can talk to different departments on campus without having to call them. It is sometimes more convenient to just write them a quick question. It is also nice when I need to talk to someone quickly because it is a fast instant messenger. "Easy Integrated product, mostly simple to use"
There are not many limitations to this product and its abilities. It is very straightforward and does allow you to add people outside of your internal network so you can collaborate with outside parties. Most people already use it so its easy to connect with others, which also means its not going to be very creative or unique because they dont try hard to set themselves apart. There are limitations on the file sizes and what you can send through messages which other software is capable of doing. GIFs for example dont work within skype, which can be important when you want to break the ice or ease tension. Its also fairly basic and doesnt have any cool features that sets it apart from any other competition. We use it to communicate both formally and informally. For the most part, it helps to use to discuss issues in detail since an email would require back and forth conversations. You can also use it to setup calls and video conferencing which can help if you like being 'face to face' when meeting with others or if you have satellite offices. "Honeywell UOP Skype for Business Review "
Skype for Business integrates well with Microsoft Outlook, allowing email contacts to be imported to Skype contacts and vice versa. The interface is simple, and allows for a chat to go from a video call instantly. Useful for both one on one conversations, and broadcasting to over 40 people on an online audience. Skype recording can be a hassle. I have run training seminars at work that we record to evaluate the content for future presentations. The audio is often difficult to set up, and has significantly delayed presentations. Sometimes it is difficult for online presenters to see a shared screen. Either audio or visual issues impair a meeting from starting on time. If setting up larger in person and online meetings, give yourself at least 30min before the meeting start time to get all of the technology configured. Make use of your local IT in your company if needed. For most day to day uses of Skype, basic functions are intuitive. I can speak across companies if they have Skype for Business, such as Honeywell Aerospace or GE. This allows for inter-company collaboration. Recording sessions is very useful, and having chats synced up to email contacts is great, I like that Outlook records any missed Skype messages. "Skype - Pocket Friendly application to connect People"
Skype is great for conference calls with large groups. It does well with sharing presentations. Video communication with Skype is very easy and clear .It is an Excellent application for remote meetings. it is of great use in recruitment Industry as it helps in quick screening of the candidates . Skype does well with sharing presentations. Many a times it becomes very difficult to hear person on other end . Quality of Skype needs to be improved. They need to make it easy to copy/paste images/gifs/videos in chats. The image paste that exists now is bad. Sometimes you are kicked out from meetings, without any notice or apparent reason. When sharing your desktop screen, there is lag. I would like to see a smoother quality. ""Skype is the best for Video & Audio calls""
It is very easy to communicate with the candidates and our friends. I can directly make Audio & video calls anywhere in the world just need to take the Skype Id. Skype for business solve great purpose of mine. We can attach documents resumes through Skype as well. I love this software because it can be accessible from desktop, laptop or from the cellphone as well. There are not much dislikes but sometimes it stuck a lot. The system gets hung up so that is a challenge, otherwise in all it is very good software. Skype is an outstanding tools for Audio & Video calls. You can easily check whether the person is online or offline. Staffing & Recruiting with Skype is a great help. I love Skype because we can easily connect with people around the globe in fraction of seconds. It's very friendly and business purpose Application. We can share screen. And we can record the session. And we can also give the controls to other persons easily.To interact with clients where we understand the business process successfully. Because the clients in on site and developers in off-site. Some times server issue problem is coming. And when sending the large files it is very difficult. Bandwidth is little bit high. So internet speed is mandatory to use Skype for Business. The mobile application is fine but some times the connectivity issue with the Server is problem. And when you are connecting with mobile I am unable to see the screen from shared user. So please improve the quality of mobile application. It is very use full to use skype. We can call moderatelly to talk with all the team members and client together on voice call and Video Conferance call. 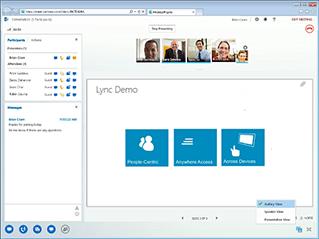 We can able to record the video and it saved in the default location called lync. To interact with clients where we understand the business process successfully. Because the clients in on site and developers in off-site. We directly interact with clients anytime. So it is very good to continue the communication gap between developers and high authority's. So the main Advantage of the process is to be share the screen and slides with the clients when presenting to the clients. So I will prefer skype for business.